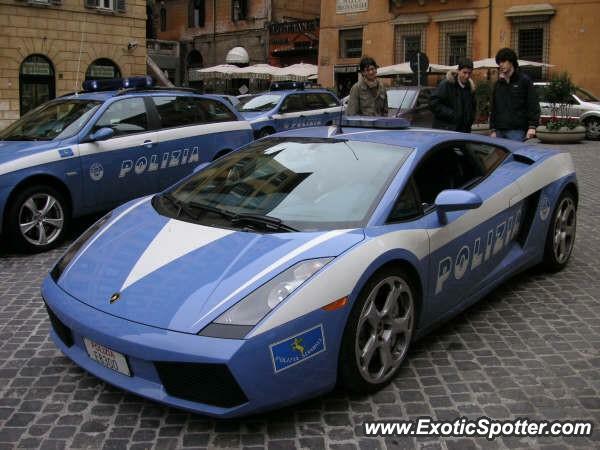 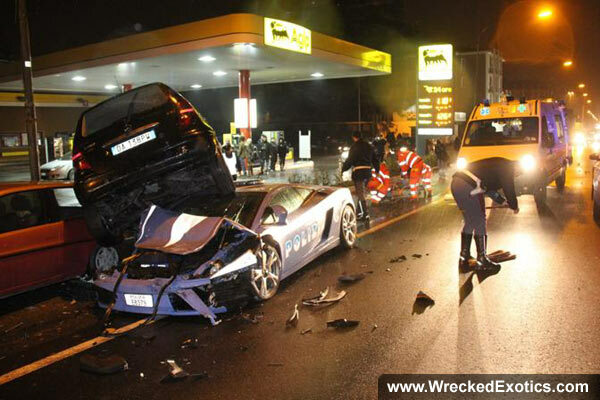 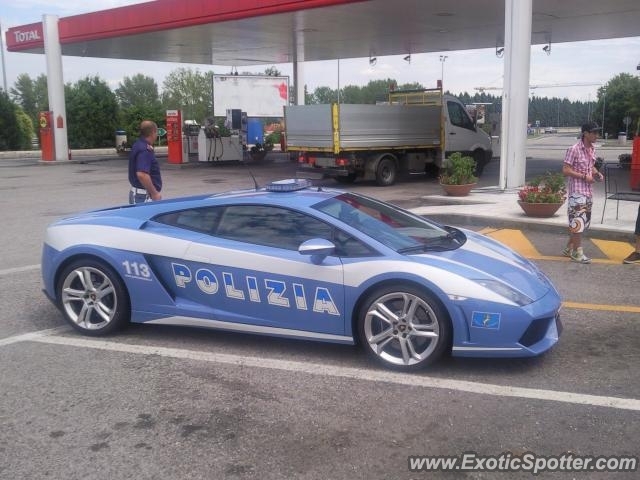 One of the famous Lamborghini police cars given to the Italy police department has now been destroyed. 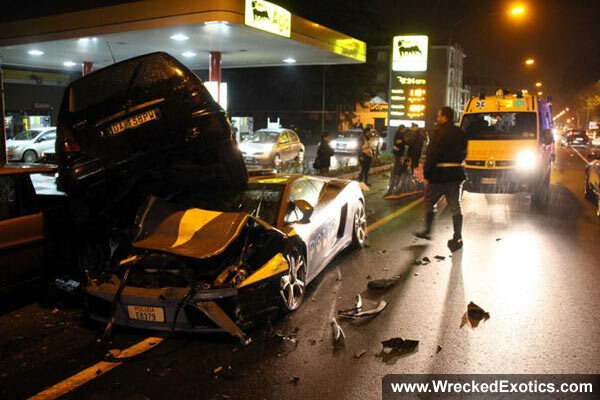 The car was being driven back from a car show when another car darted out of a service station into its path. 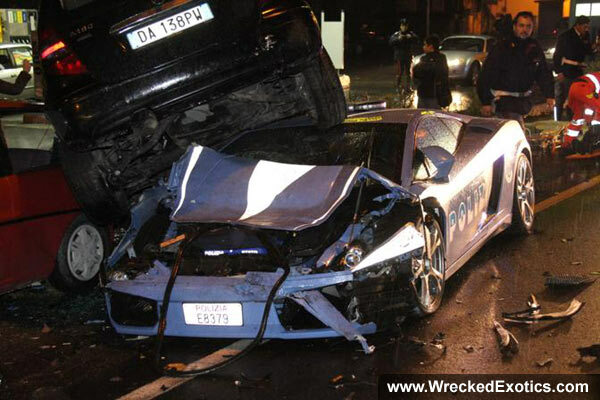 The driver of the Lamborghini tried to swerve out of the way but ended up crashing into several parked cars instead. 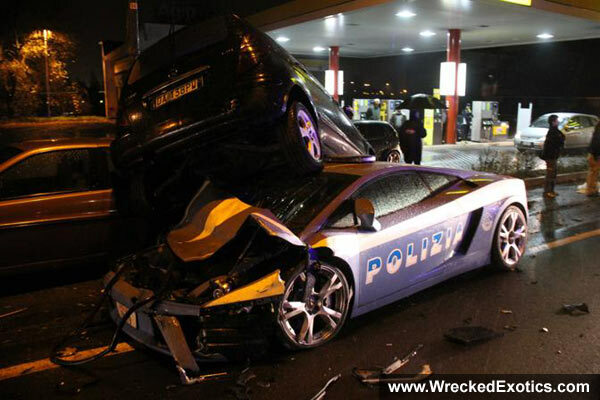 Both officers in the vehicle were hospitalized with minor injuries.